Keep floors clean, dry, and safe from liquid accumulation from wet umbrellas. Wrap umbrellas in 1 fluid motion. 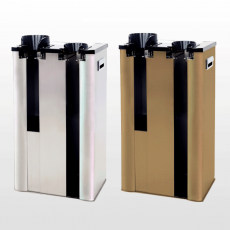 Available in single and double dispenser models. Smart, compact, and effective. 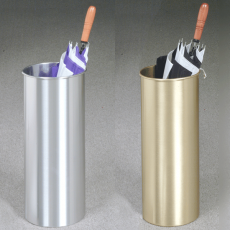 Our single dispenser Automatic Wet Umbrella Wrappers enable guests to stow standard-size umbrellas quickly and neatly. Single dispenser for standard-size umbrellas. Automatic wrapping mechanism stowes wet umbrellas with speed and ease. 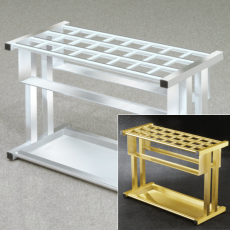 Prevents dangerous liquid accumulation across lobby floors, corridors, and more. Double dispenser for twice the traffic. Our double dispenser Wet Umbrella Wrappers are ideal for facilities that experience heavy visitor flow. Wraps both long (standard) and folding (short) umbrellas. Automatic wrapping mechanism stowes umbrellas in a single fluid motion. 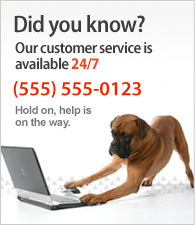 Ideal for retail, hospitality, and other locations that experience heavy visitor flow. Stand has wheels on the back of the base, making it mobile and easy to move around. Organize and rack your umbrellas. This standard / tote size combination is ideal for holding a dozen umbrellas. Organize and rack more umbrellas! This is our larger version of the standard / tote size combo. 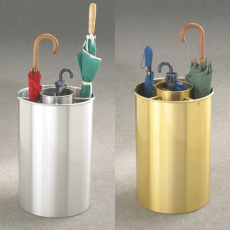 Stow away your umbrellas in our stylish cylinder combo model. 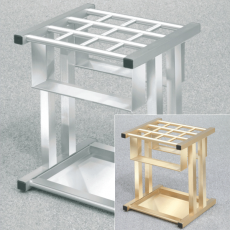 This stand and tote size combination can hold up to 30 umbrellas within it's compartments. Store umbrellas in this compact cylinder holder. This is cylinder has a single chamber, capable of holding 10 umbrellas. Looking for some more basic, but practical? 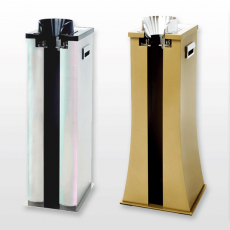 Our basic umbrella stand is ideal for residences and small offices.